Among those fans, Roland Dankó, aka Roli, was especially attracted with the game. First a custom level editor thanks to the “Tomb Raider Level Editor” software back in 2005, he is now an official Tomb Raider fansite webmaster for “Raiding The Globe” and has the ambitious project to recreate the 4th game of the franchise with more polished graphics, a modern interface and enhanced game animations. Roli answered our team’s questions for us, and you, to discover more about his objective. Hello Roli! ! First and foremost, we would like to thank you for the time you are taking to answer our questions! Could you please introduce yourself and tell us more about your story in the Tomb Raider fandom. Hello everyone! Thank you for having me! My name is Roland, but everyone calls me Roli! I’m from Hungary and I am a custom-level builder, a fellow website administrator for “RaidingTheGlobe.com” and “TombRaider.hu” as well as a Tomb Raider collector. 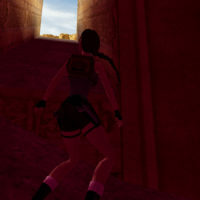 My passion for the game started at the end of 1998 when a TV program introduced me to Tomb Raider III. I have been madly in love with the series ever since (especially with TR4, being my favorite game in the franchise). As I was growing up, I caught up more and more with the world of Tomb Raider and one day I realized that the franchise basically became one of my “reasons to live”. Thanks to that, I’ve also found the love of my life. Finally, I like making YouTube videos and I’m an artsy person, although theses days, I am mainly focusing on level building and website editing. The most recent levels/projects you may know me from are Tomb Raider: Revelations IV (The Curse of the Sword) and Tomb Raider IV: The Last Revelation HD version. 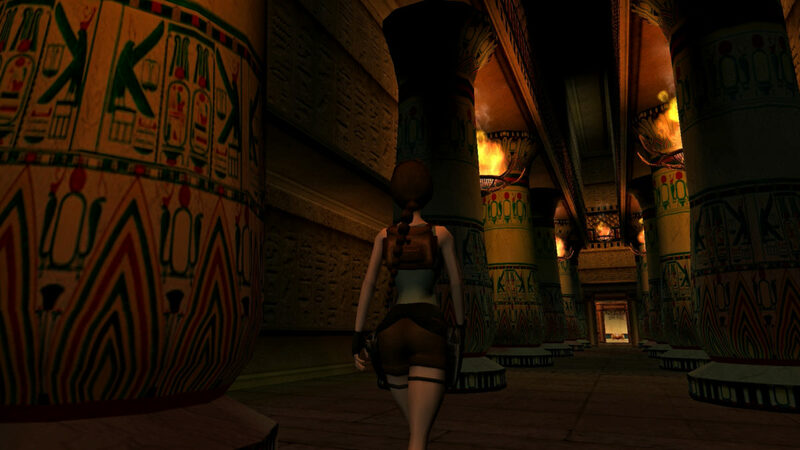 In addition to that, I’m currently helping my partner to make his dream come true to build a more impressive, upgraded version of his level called “Tomb Raider: Afterlife part 1” – which should be released in the following weeks/months if everything goes well. We are so excited! 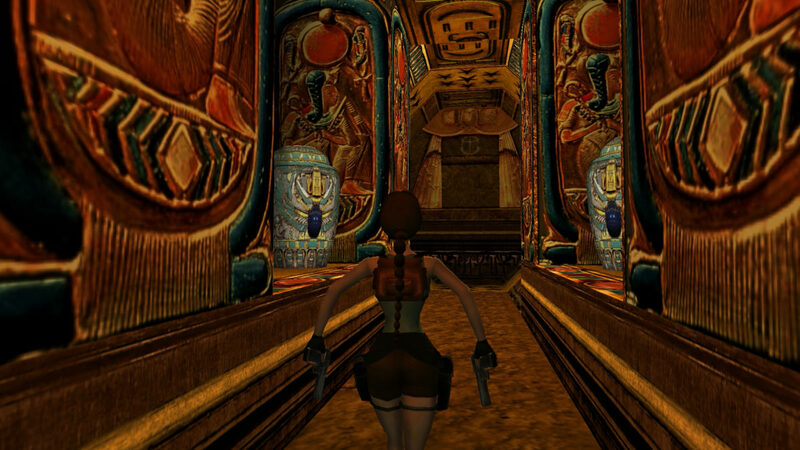 When did the idea of recreating Tomb Raider IV come to your mind? It was a very quick idea from back in 2014 when I was recording the Tomb Raider IV walkthrough for PlayStation on my Youtube channel. I was like… “wait a minute, we can do WAY more with the current tools for TRLE” and as the editor itself was built around TR4, it was clear that we had to make a team and start a remastering process of the original game. As expected, we first were able to make the entire original game playable in the editor, so… there was no doubt we would make the project a reality. We have been working on the remaster since then, and we are, slowly but surely, getting there. Can you tell us some of the new features of your remaster? 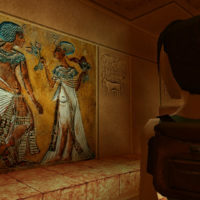 Tomb Raider IV: The Last Revelation HD will allow players to experience Core Design’s original and unparalleled classic game remastered with sharper textures, higher quality objects, brand new effects (such as dynamic fog, smoother shadows and high quality sprites), additional gameplay features and much more. We are currently waiting for MontyTRC’s TR5Main renderer which will allow real time shadows and other graphical features. However I can’t confirm all of them yet, as I’m not a programmer nor a developer. 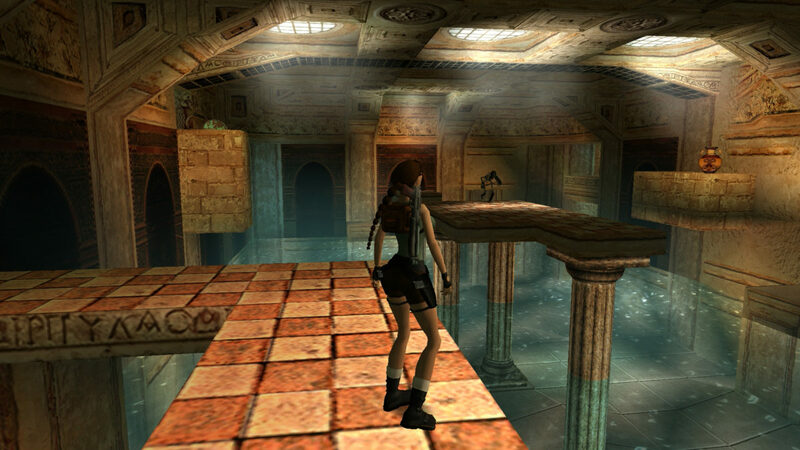 Apart for the Tomb Raider Level Editor, what tools are you using to recreate the game? Can you briefly explain them to us? First of all, we are using the TRNG (Tomb Raider Next Generation) level editor and its tools made by Paolone. For everything else, we are using base tools like WadMerger, Strpix, Metasequoia, Photoshop, Gimp, etc. But for more complicated tasks like object texturing and brand new animations for Lara we are using Blender and 3ds Max. Who is taking a part into the project with you and what are their goals? Alexis: Lara’s animator – She’s currently reworking almost all of her animations to give a “fresh look” to Lara. Axelia: Object creator – one the most talented TRLE object creator in this “business”. Delta: A TRNG scripter – one of the cleverest programmers I’ve ever met. Disapearing-boy: A texture and object creator – with his talent the levels look so much better, and yet they stick closely to the original. LGG_PRODUCTION: An object creator with other unique talents. Mrshina: An object creator – just like Axelia, she’s one of the best in the TRLE’s world. Piega: A texture and object creator – a huge name in the TRLE’s scenario so I don’t think I need to introduce him. SuiKaze Raider: A localization manager – he has years of experience in game translation and with writing tools for extracting and injecting back into the game’s scripts. THOR2010: An object creator and an amazingly talented person. VictorXD: A texture and object creator – he first started with his TR2 remaster project and now he’s helping this one out. Zellphie: object creator – another name in the TR community who I don’t need to introduce. His parody projects and creations within the editing world are well-received worldwide. 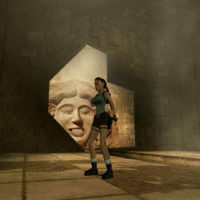 Could you give us more details on your personal role in the Tomb Raider IV – HD? It’s nothing much, really :). I’m the leader of the project which means I’m trying to put everything together. I also restored most of the levels from the original maps into TRLE and I am working on textures, objects in addition to helping other members. Finally, I am in charge of the whole promotion process. Will you release the final game in any other language than English? Yes, we have every original audio and script packages ready to go: French, German, Italian, Spanish, Japanese, and Russian. We are also considering adding subtitles – if possible -, so more possibilities could come. That’s a wrap! Thank you so much for answering our questions, Roli! Our team wishes you good luck for the project! If you want to know more about this remaster of “Tomb Raider IV – The Last Revelation”, check out “Raiding the Globe“. You can also follow our friend on his Twitter.